First, what is a filter. A camera filter is a piece of glass or plastic that is designed to sit in front of your lens. Filters range from clear glass, to colored, to those that distort the image. The purpose of a filter is either to protect your lens from scratches or to create a special effect. Often on our photo tours we are asked about polarizing filters. 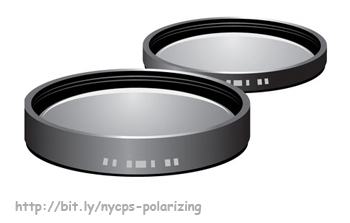 A polarizing filter is a filter that is designed to polarize the light. In other words, they work the same way your sunglasses do. They redirect glare at a 90 degree angle to reduce glare. Similar to your sunglasses, a polarizing filter can also enhance some colors, like blue skies. Different from a polarizing filter, a neutral density filter reduces the amount of light. Neutral density filters are capable of reducing the amount of light coming into your camera by .5 to 10 stops of light (or more) without polarizing the light. You would want to use a neutral density filter if you need a slow shutter speed but have too much light. For instance if you wanted to photograph a river in the middle of the day and wanted that glassy look in the water. This is a perfect time to use a ND filter.